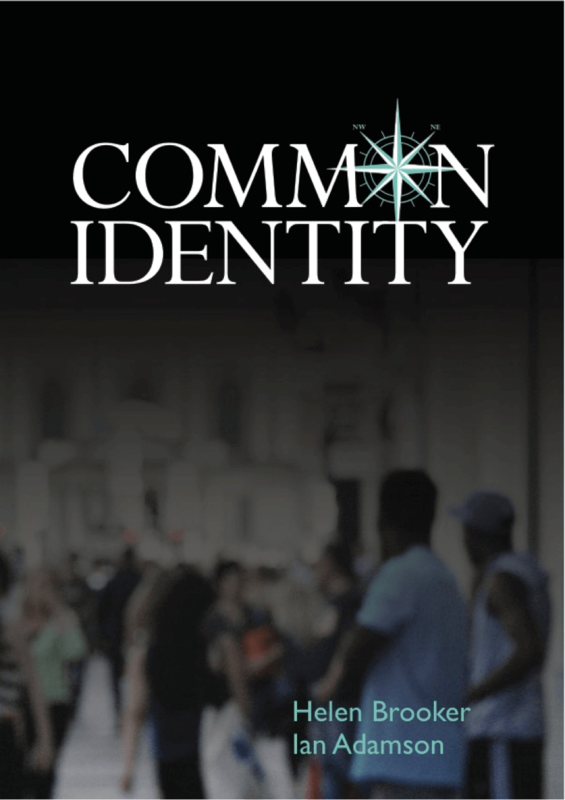 Building stability for societies by explaining, promoting and remembering Common Identity. 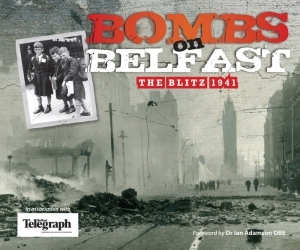 On its 40th anniversary, Ian Adamson's influential book continues to provoke debate. This updated edition shows that the Cruthin controversy remains as relevant and challenging as it ever was. Bangor, once the site of one of the largest Christian schools in Ireland, was the jumping off point for the famous missionary journeys of Columbanus and Gall. The Bangor Antiphonary, which is now in the Ambrosian Library in Milan, was the flowering of a style and depth of worship with unique appeal. 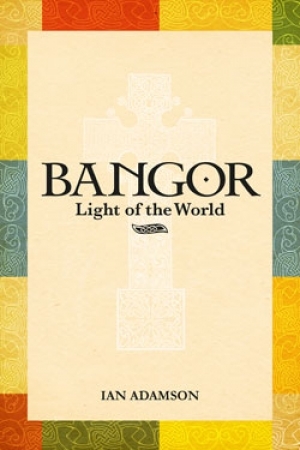 In his 'Light of the World' Ian Adamson has combined literary skill and scholarship to describe how one of the main strands of European civilisation developed out of the Judeo-Christian tradition of the Middle-East and to bring out the full scope of how Bangor became the focus for religious life of great depth and power in the early medieval period of Europe. “St Columbanus is, of course, the much loved patron saint of bikers around the world; an accolade that reflects his love of travel and great spirit of adventure and discovery. He was a man who looked past the perceived barriers and inevitabilities by which we so often live our lives in order to discover what was beyond those horizons, what was possible, what could be better. In many ways he was a man ahead of his time; a visionary who spoke and dreamt of a united Europe in which we could live and work together in peace. Many centuries after his death he continues to be an inspiring figure who we, in Ireland, are very proud to claim as one of our own.” - Michael D. Higgins, President of Ireland. Among the oldest named population groups of Ireland were the Cruthin, a pre-Celtic speaking people dominant in large parts of ancient Ulster. 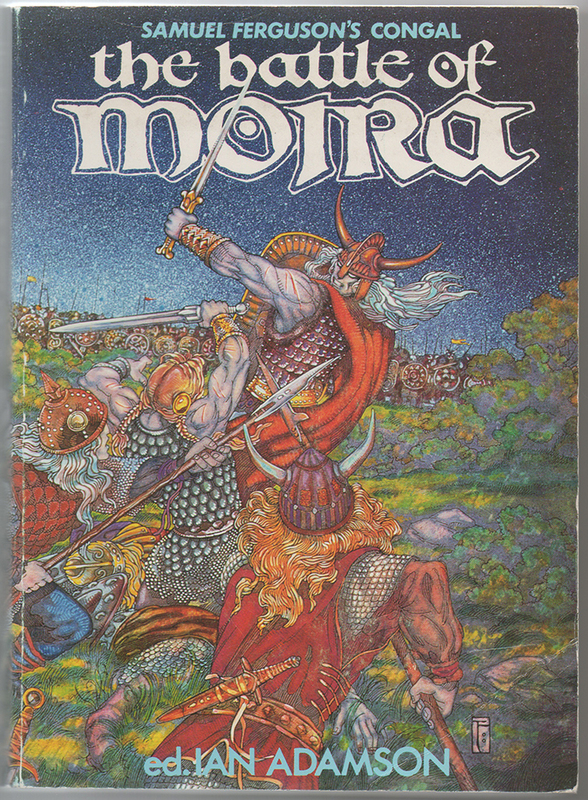 Their most powerful dynasty were the Dal naAraidi, whose territory became known as Dalaradia, and whose impact upon Ulster's history and culture is detailed in this book. 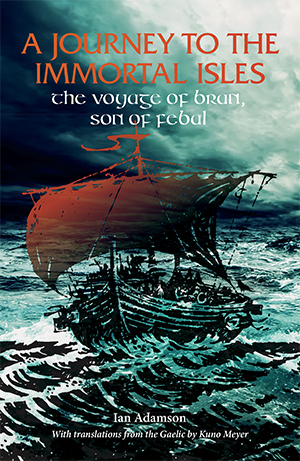 A Journey to the Immortal Isles, Immram Brain maic Febail – the Voyage of Bran, Son of Febal – possibly written in the eighth century and not later than the ninth, tells the story of Bran’s adventure to the Otherworld. It is a beautiful half- pagan and half-Christian tale, which still has resonance today in the works of such authors as J.R.R. Tolkien and C.S. Lewis. 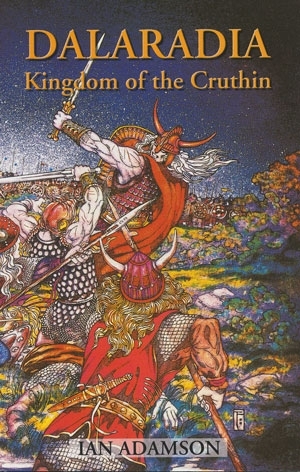 Dr Adamson, already known for his books The Cruthin, Bangor, Light of the World and Dalaradia, Kingdom of the Cruthin, traces the origins of the tale to the Pretanic, Brittonic and finally Gaelic traditions of Bangor, County Down and demonstrates its universal theme in the search for Paradise. This is a book about the native traditions of one of the most ancient peoples of Europe and examines the influences over the past three hundred years which have made of them a hidden and forgotten heritage. 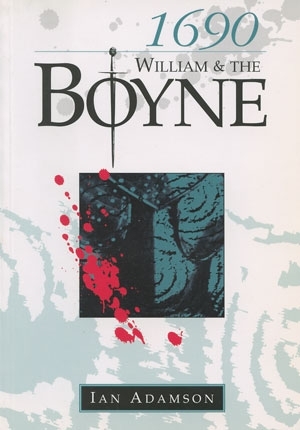 It presents a view of Irish history which, although not the established view of warring and essentially negative nationalisms, is yet an older and more deeply rooted one. The battlefield of Moira lies south-east of Lough Neagh, not far from the modern town of the same name and is passed by the modern railway from Belfast to Portadown and Dublin, Here on Tuesday 24th of June AD 637 occurred according to the famous Ulster poet Samuel Ferguson, “the greatest battle ever fought within the bounds of Ireland.”Ferguson’s epic poem of the battle has been described as “unquestionably one of the finest products of Irish genius.” He called it “Congal” from the chief actor in it, though the Battle itself is the principal incident both in the poem and in the bardic original “Cath Muighe Rath”. Although super-natural beings were held to have mingled in the strife, and some of the characters in the Epic are mythical, most notably Sweeney, the “Wild Man of the Woods”, yet, in the main the incidents it records are historically true. 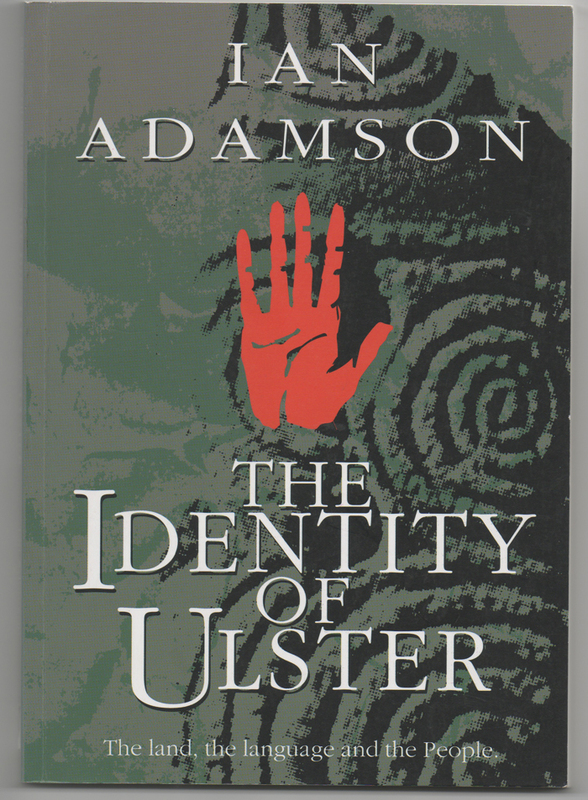 This book by Ian Adamson is a fascinating survey of the unique historical and cultural heritage shared by all the people of Ulster. 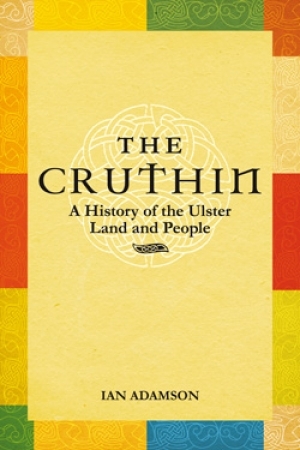 The publication of Adamson’s first book, The Cruthin – in which he outlined his theme of a shared heritage – ironically coincided with the onset of the worst phase yet of Ulster’s communal tragedy. 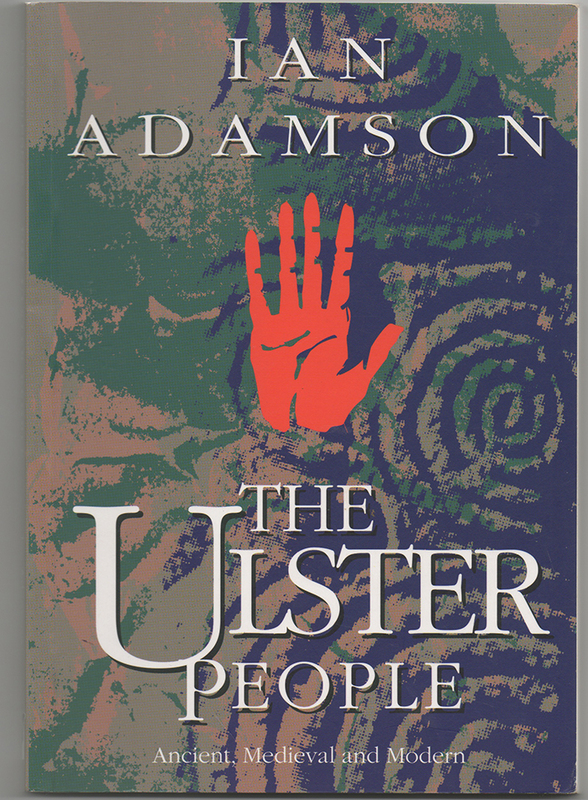 Undaunted, Adamson continued, in books such as The Identity of Ulster and Bangor, Light of the World, to reiterate his belief in the common identity of the Ulster people – a belief which seemed quite at odds with the intensifying violence, and one which was certainly not being expounded by most of the academic establishment, who had remained strangely silent in the midst of a communal bloodletting which had its roots in a clash over ‘identities’ and differing interpretations of history. James Butler, 1st Duke of Ormond, was a prominent member of an ancient, and illustrious British family, to whose annals, he contributed some of their brightest pages. 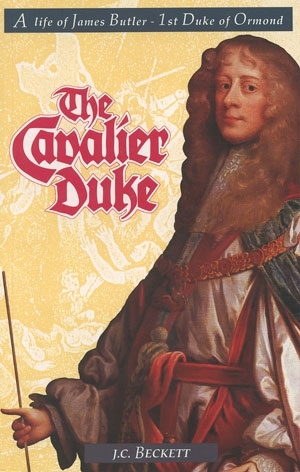 Greatest of all the Cavaliers he earned the distinction of being specially exempted in Cromwell's Act for the Settlement of Ireland, from pardon of life or estate. An ardent supporter of the ill-fated House of Stuart, he lived an honourable life, earning the respect of all parties and creeds. 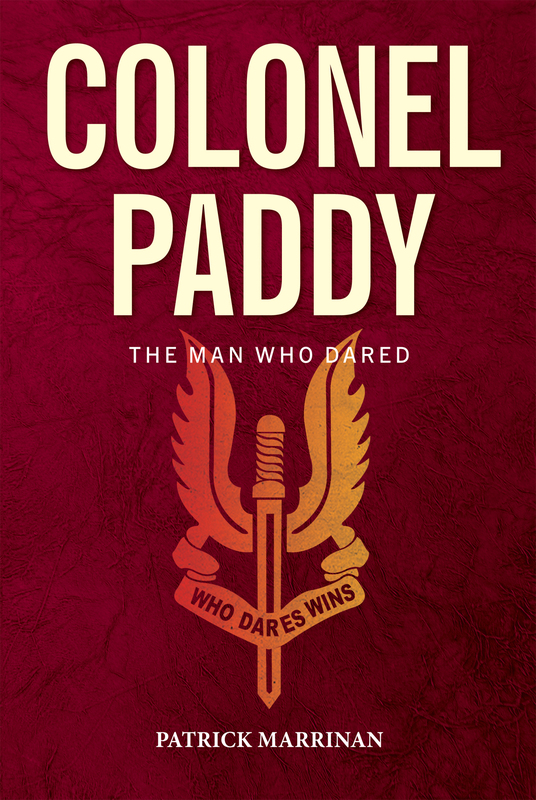 This history of his life by one of the finest exponents of Modern Irish History, shows Ormond as a model of behaviour in word and deed, for the Irishman of yesterday, today and tomorrow. 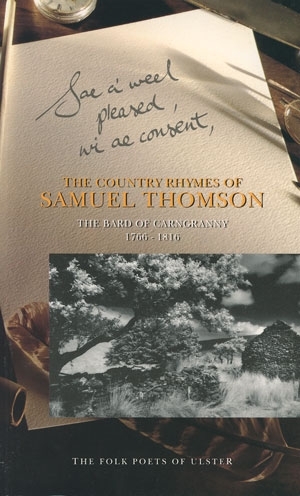 Samuel Thomson, unlike contemporary folk poets who were weavers by trade, was a schoolmaster by profession. 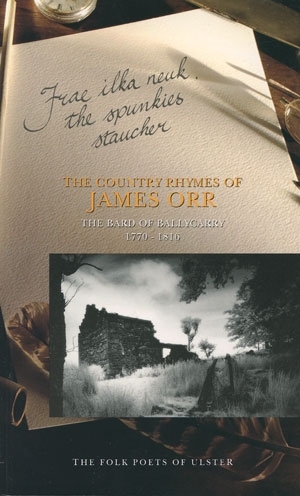 Although he lived as somewhat of a recluse in his thatched cottage on Lyles Hill, Thomson had a wide circle of correspondents, including James Orr of Ballycarry, one of the most celebrated of the weaver poets, the Rev James Porter of Greyabbey, hanged in 1798 on suspicion of being a United Irishman, and Lord Templeton. 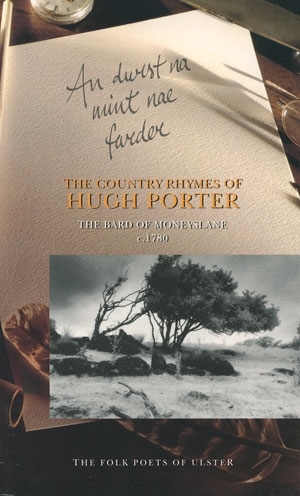 He also exchanged poems with Burns and visited him in Ayrshire. His work fist saw publication in 1793. The selection, written in the Ulster dialect of Lallans, not only reflects Thomson's wit and humour, but provides an invaluable insight into the daily life of his time.